Kingfisher Lodge is situated in a malaria-free environment on the banks of Lake Entabeni surrounded by majestic mountains, natural rock and the scenic African bush. Kingfisher Lodge is located in the 22 000 hectare Entabeni Game Reserve in the malaria-free Waterberg area of Limpopo, South Africa. This Limpopo game lodge is situated on the banks of Lake Entabeni and offers guests luxurious accommodation. Accommodation is in 8 deluxe rooms all fitted with showers, baths and other modern amenities. The suites each have a fireplace, mini bar and private viewing decks. A range of exciting activities are available for guests to enjoy during their stay at this Limpopo game lodge. 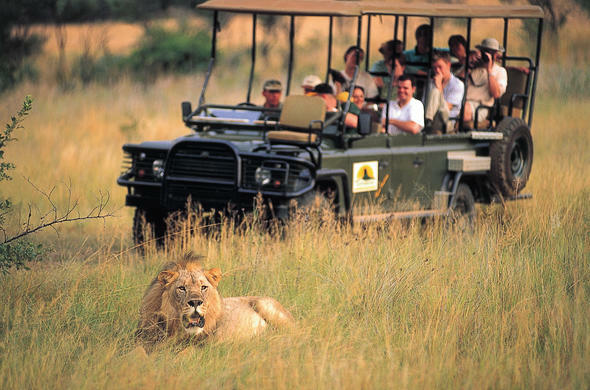 Spot African wildlife on game drives, bush walks and horseback safaris. Kingfisher Lodge alsp provides guests with excellent meals in their restaurant or deck overlooking the lake, or in the traditional boma enclosure. Children are welcome at Kingfisher Lodge.